Even after fixing it, I'm still not quite sure why it said "I don't trust it." I think my code has trust issues. My custom syscall entered in recursion, or something like that. This is what happens when you incorrectly copy some data. The screenshot was actually taken on February 28th (so should display "2019-02-28")... I suppose the 0th day of March is kinda the same day as the last day of February, but obviously something isn't working right. 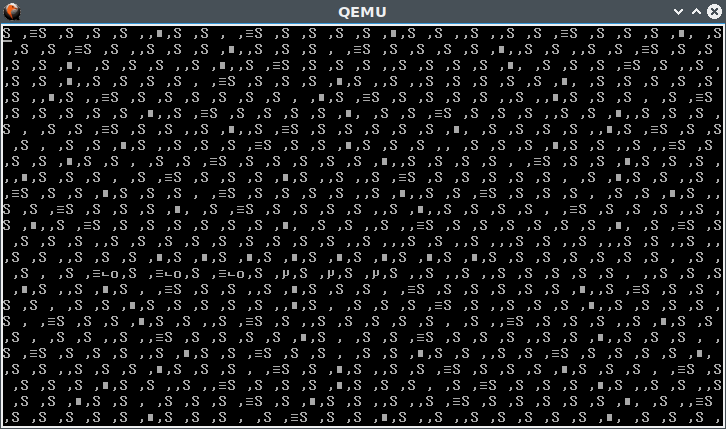 The odd thing is that the date values are read directly from the RTC at boot time; maybe QEMU has a bug? EDIT: Seems to be a bug in my epoch time <-> time and date conversion functions. I know that screen well. 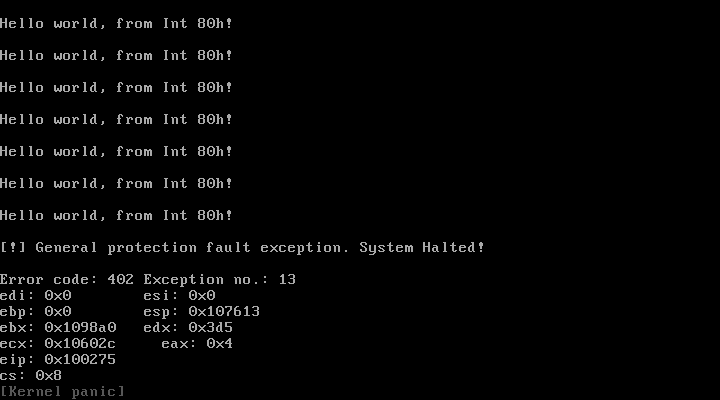 That's what happens when you dump your 16-bit IVT table at memory location 0x00 to the screen. When you see the 3 horizontal lines and a bunch of 'S' characters, that's a good sign that you've tried printing a NULL pointer to the screen. When trying a simple print statement, I managed to get to this screen. How did such a small change fail so horribly. K3achas: Wild jump which happened to land in BIOS code? Lots of these remind me of my Atari and MS-DOS days.